Mobile greenhouses, art studios, and makerspaces are traveling to underserved kids across the nation—salvaging vulnerable school programs and leveling the playing field to access. 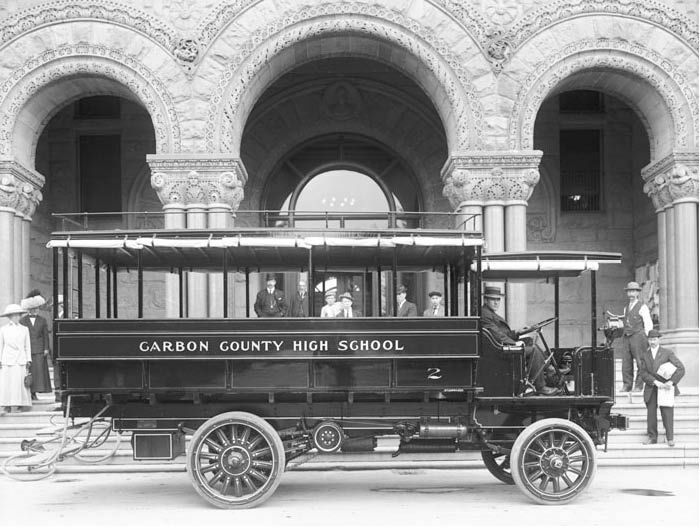 U.S. school bus circa 1912: Buses have come a long way since then. Bright yellow school buses—recognizable anywhere—transport more than 26 million children to school every day. But these days, districts and organizations throughout the country are using buses for much more than a ride to school. 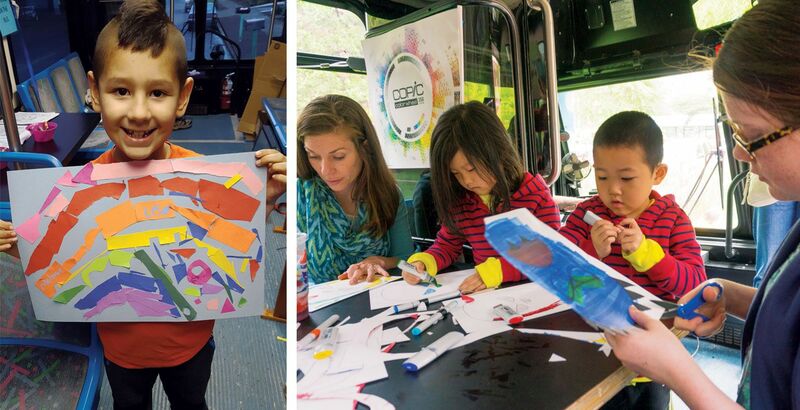 By repurposing available space and capitalizing on mobility, these traveling art studios, cafeterias, and science labs are reducing barriers to access and meeting students where they are. Here’s a sampling of some of the most innovative buses and the stories behind their creations. Columbia Public Schools’ elementary and middle school students experiment with sound waves and code robots aboard their maker bus. Makerspaces—equal parts woodshop, science lab, and art room—have been popping up in schools across the country for the past decade, providing educators with a place to pique student interest and build the skills needed for the jobs of the future. The Columbia Public Schools (CPS) district had installed makerspaces in nearly half of its elementary schools when administrators realized they should ensure that all of their students had equal access. 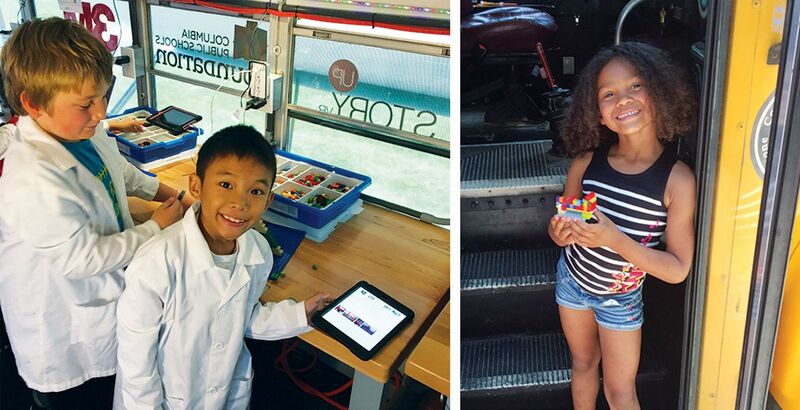 The solution: In 2015, the district introduced a makerspace bus, called the STEAM—science, technology, engineering, arts, and math—bus. 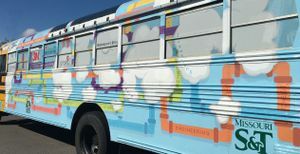 The colorful bus—which the district received as a donation and then painted sky blue—features a variety of tools, such as 3D printers, virtual reality glasses, and littleBits, a type of electronic building block. The bus can hold 25 kids at a time and has served about 5,000 students at the district’s elementary and middle schools, as well as in neighboring districts in the county. Onboard lessons are tailored to what students are learning in the classroom. When fourth-grade students at one school were studying the amplitude and frequency of waves, they created sound waves on the bus using littleBits. Craig Adams, CPS’s STEAM coordinator, helped second graders studying a unit on poetry write code for robots to act out the poems they had written. He would know. 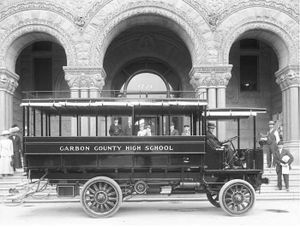 A number of other Missouri school districts are following Columbia’s lead—with Adams’s guidance, Liberty School District is building a STEAM bus. 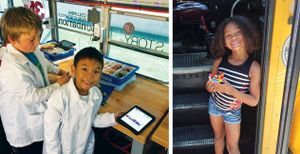 And in Maryland, Baltimore County Public Schools elementary students learn about robotics, computer programming, coding, and circuitry on the Mobile Innovation Lab, which travels to schools for a week at a time. A transit bus turned art studio visits rural districts, low-income housing areas, and parks in and around Eugene to give kids access to art. For the next 30 years, Weigandt periodically called his local transit operator in Eugene, Oregon, to see if there were any decommissioned buses they could donate. Decades later, in 2015, his long-delayed dream finally came true. 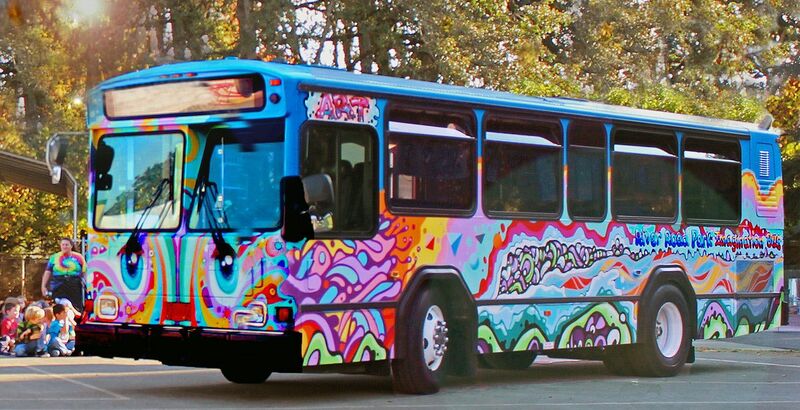 But the donated bus still needed to be transformed into an art space. In the end, a partnership between the parks and rec department and Imagination International, a company that brings free arts education to young people in Oregon, resulted in the creation of the River Road Park Imagination Bus, now known to everyone as Artie. Staff artists provide free classes for kids who don’t have the transportation or means to pay for art classes otherwise. In the summer, Artie travels to 10 local parks on weekdays—two per day—and provides free art classes to dozens of students. The parks and rec department also partners with the STELLAR Project, a federally funded arts and literacy program that serves four low-income school districts in the county. The bus travels to each district on eight- to 10-week rotations, and after school, it pays a visit to low-income housing areas. 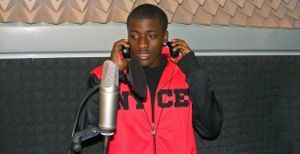 Youths in Charleston create music tracks in a mobile recording studio. Artie isn’t alone. In Charleston, South Carolina, the nonprofit Carolina Studios is bringing arts enrichment to low-income students through its mobile music recording studio, which provides local youths with a safe space to explore music while learning the relevant technical skills to produce it. Orange County Public Schools undercuts the stigma around free and reduced-price meals by bringing food to students on this colorful bus. With seven in 10 students on free and reduced price lunch in Orange County Public Schools (OCPS), making sure kids eat is a year-round initiative in the district. 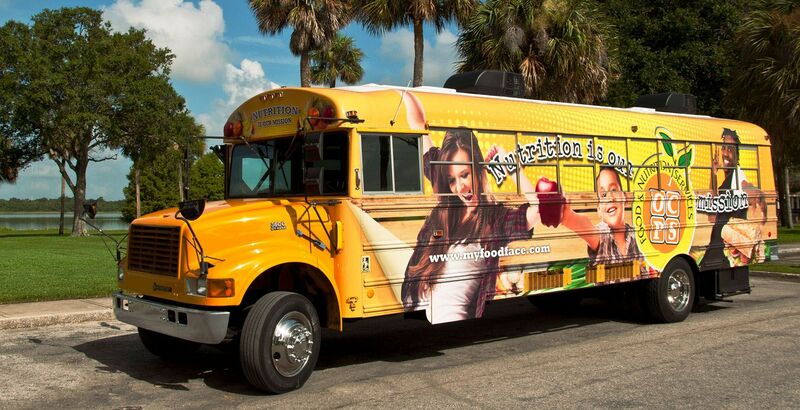 Worried that some students wouldn’t receive proper nutrition over the summer, the district launched a cafeteria bus in 2014 that travels throughout Orlando and serves over 1 million meals during the summer break. Four libraries, 15 churches, and 20 recreational centers work with the district to provide activities, while the bus supplies meals funded by the U.S. Department of Agriculture. Serving food at community sites and activities has had a welcome side effect—youth participation in existing initiatives, like summer reading programs at local libraries, has increased. “We look for community partners that will open their event space to children because otherwise they’re stuck at home, or even worse, they’re in a hotel,” says Lora Gilbert, the head of food and nutrition services at OCPS. The district also repurposed an old golf cart—adding coolers, heaters, and ice bags—to bring dinner to students at high poverty schools who participate in after-school activities that may be spread out over a large campus. 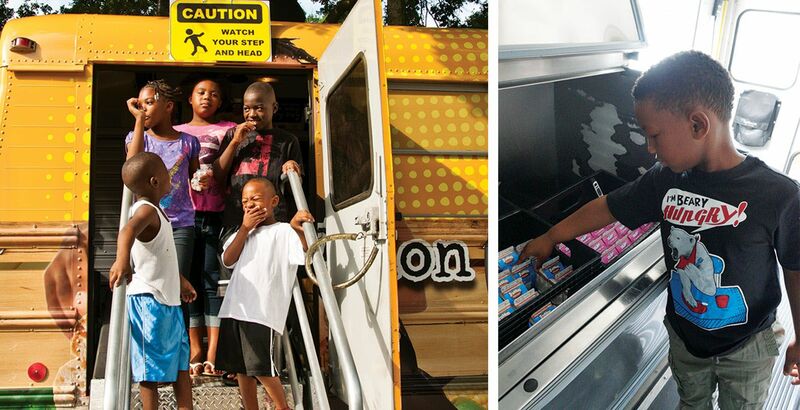 Other states have also launched mobile summer food programs. In addition to providing breakfast and lunch at schools during the summer, Jefferson County Public Schools in Louisville, Kentucky, sends buses to mobile home parks and housing communities at lunchtime to accommodate students who can’t come to the schools. And in the Mobile County Public School System in Alabama, food buses and food vans visit schools on summer weekdays, serving about 90,000 meals. 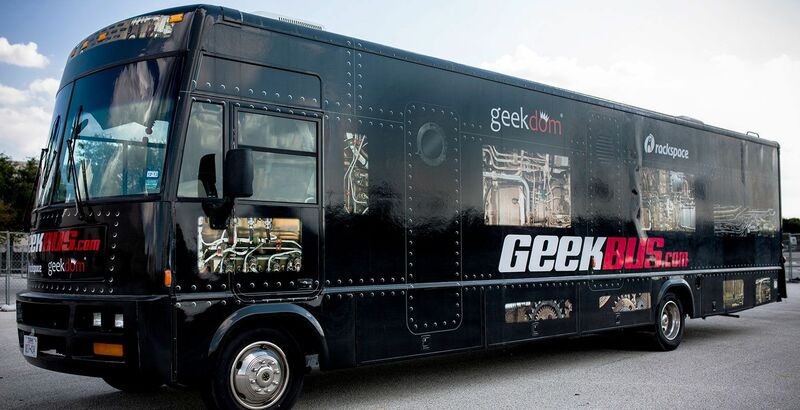 The Geekbus serves as a mobile STEM lab in Texas, giving underserved K–12 students the opportunity to learn about robotics, renewable energy, and engineering. Mark Barnett was in seventh grade when his science teacher asked him to do a hands-on project on wildflowers. It was the first time he had enjoyed school. Twelve years later, Barnett, by then a middle school science teacher in Texas, wanted to provide that same excitement to other children. He started a robotics club at his school, helped other districts adopt STEM education (that’s STEAM minus the arts), and later created a pop-up makerspace in downtown San Antonio. Then true inspiration struck: Using leftover equipment from the makerspace and a newly donated RV, Barnett created the Geekbus, a 40-foot mobile STEM learning lab equipped with tools like buildable Lego robots, wind turbine kits, and Arduinos—tiny programmable computers that can be used in building clocks, keypad locks, and robots. Barnett also developed curricula for six STEM subjects—robotics, 3D printing, renewable energy, video game design, hardware engineering, and computer software engineering—that could be taught onboard as one-day workshops and week-long summer camps. 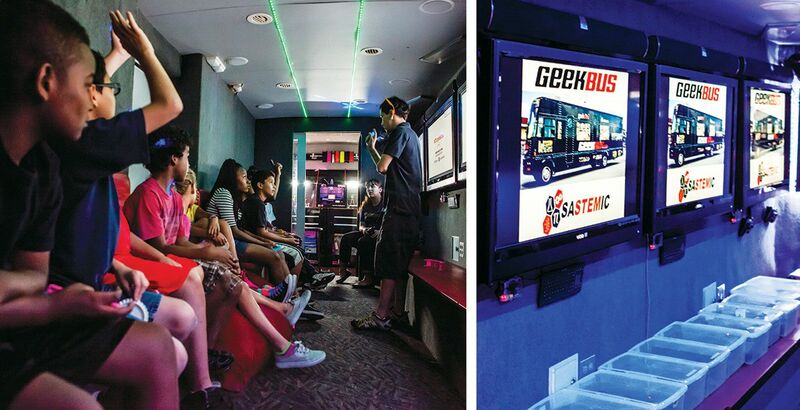 With support from SASTEMIC, a local nonprofit, the bus launched in 2014, traveling to underserved and rural schools around greater San Antonio that don’t have access to STEM and maker resources. 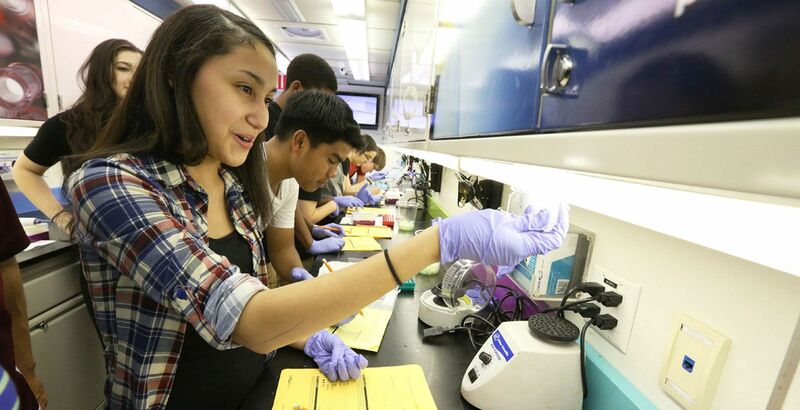 The MdBioLab has served over 150,000 high school students, in every district across Maryland. Last year, the Geekbus served 15,000 students and has already reached more than half of that number in the first quarter of 2017. 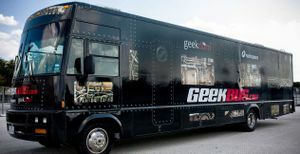 Meanwhile, SASTEMIC has plans to create a second Geekbus and is consulting with organizations in Salt Lake City, New York City, and Las Vegas that are interested in creating their own versions of the Geekbus. In Maryland, the nonprofit MdBio Foundation operates two STEM buses. 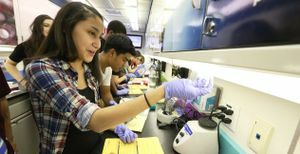 High school students across Maryland work with scientists on board doing lab work in biology, chemistry, and forensic science. Elementary kids wave when they see the Bozone Ozone Bus (BOB) around town. In Bozeman, Montana, an agricultural city of 40,000 people, BOB has become an everyday part of the community. What started as a high school student’s idea to create a greenhouse for a retirement home in Bozeman evolved into a mobile classroom that visits local elementary schools that want gardens but can’t afford them. It took two years, roughly $25,000, and over 200 local partners to bring BOB to life in 2010. Seat frames were turned into plant tables, the roof was transformed to let in more light, and herbs and vegetables were planted throughout. Local high school students designed science lessons—connected to the district’s science curriculum—to teach elementary kids about photosynthesis and plant anatomy as they garden. In its first year running, BOB visited 2,000 students in every class in six Bozeman elementary schools. To date, BOB has served more than 10,000 kids. 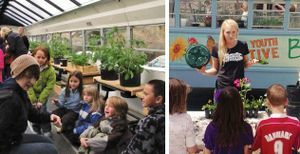 Gallatin Valley Farm to School, a local nonprofit that teaches kids about growing food and healthy eating, now runs BOB, and plans to extend its reach throughout the district, as well as incorporate math and English into the existing garden lessons. BOB isn’t the only garden bus driving around: The Green Urban Lunch Box in Salt Lake City hosts summer camps on a bus to teach K–3 students about plant biology and healthy eating, in partnership with the University of Utah and the local YMCA. These traveling art studios, science labs, and greenhouses are reducing barriers to access by meeting students where they are.